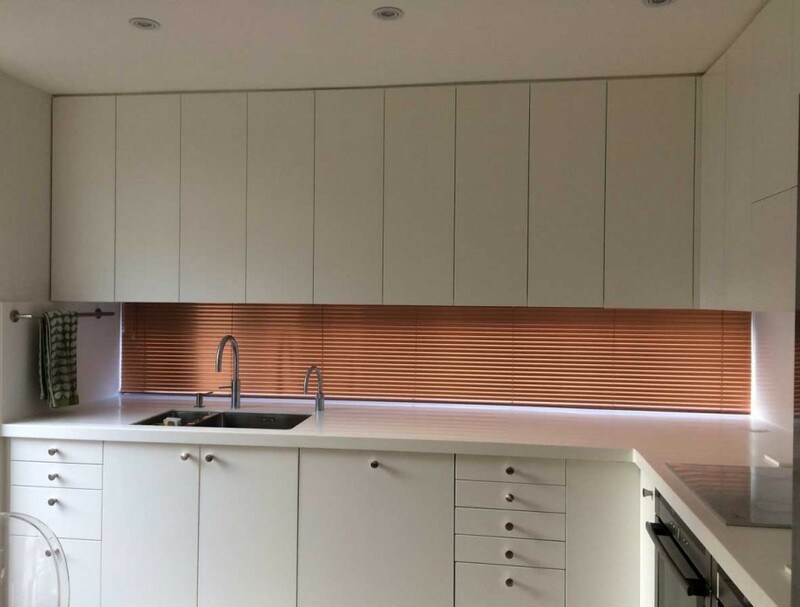 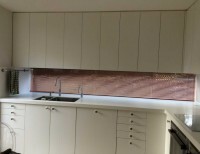 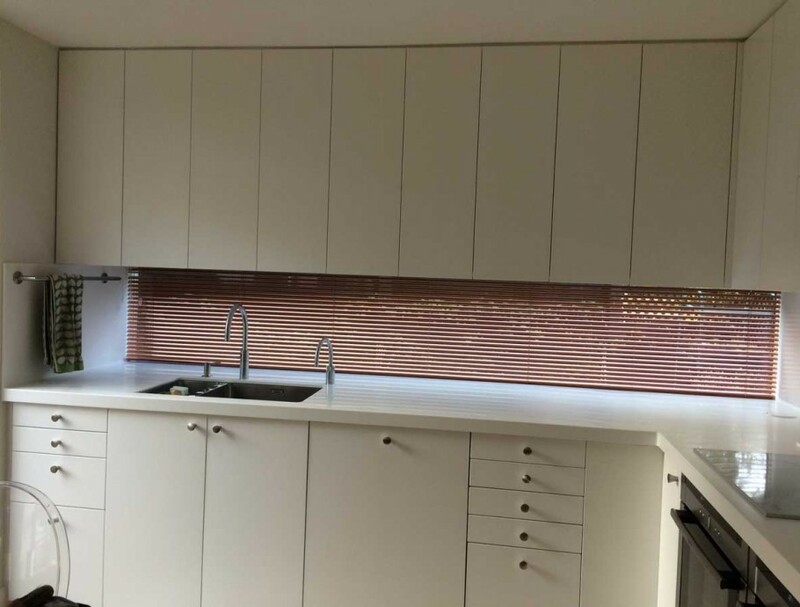 We love this 25mm Venetian blind in “Copper” first time we have laid on our back to fit a blind!! 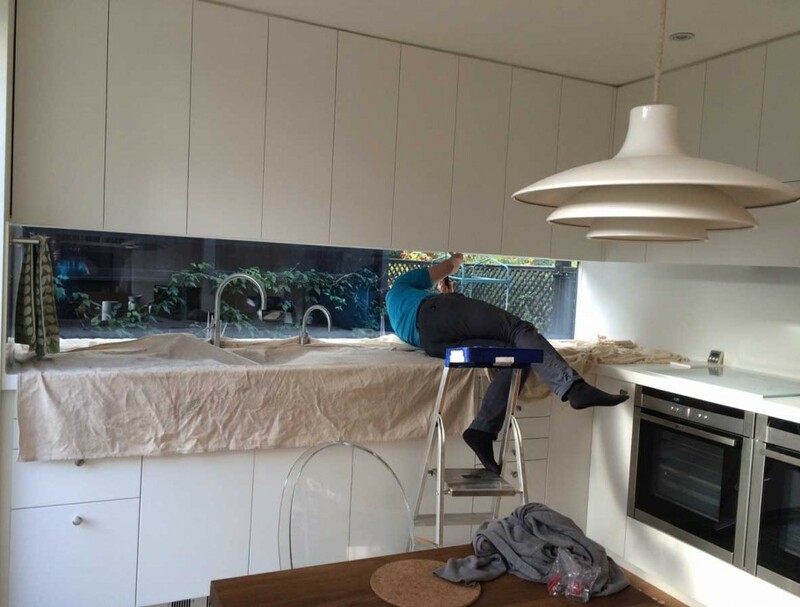 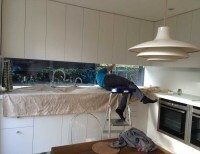 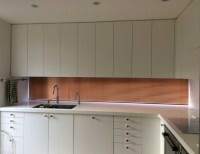 Fantastic statement to this all white kitchen, with a full width low level window. 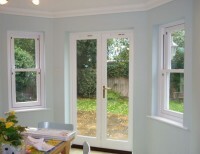 Certainly has the wow factor we think. 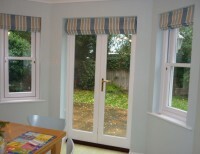 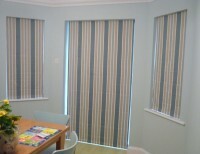 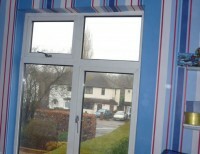 Set of French doors customer requested Roman blinds set inside the recess, with one blind to cover both the doors. 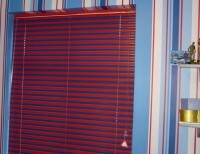 A bit of fun for this child’s bedroom: customer wanted a link with the wall paper so we added a venetian blind with alternating slats red and blue to give it that wow factor.